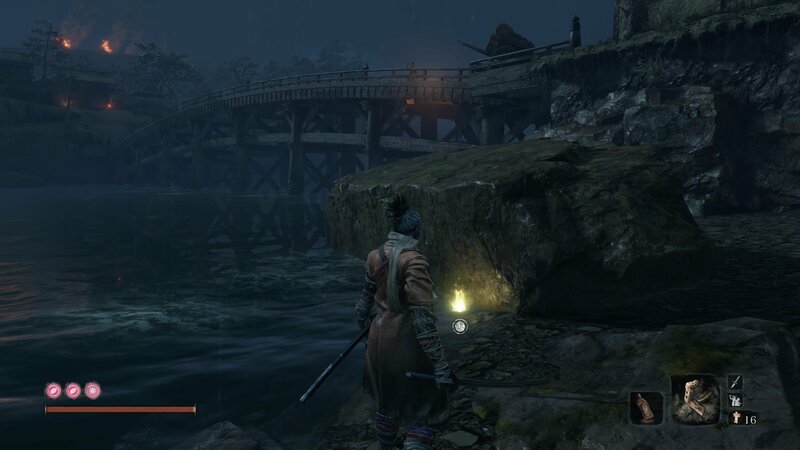 Don't scale back your shopping expectations, just follow our guide to all the Treasure Carp Scale locations in Sekiro: Shadows Die Twice instead! 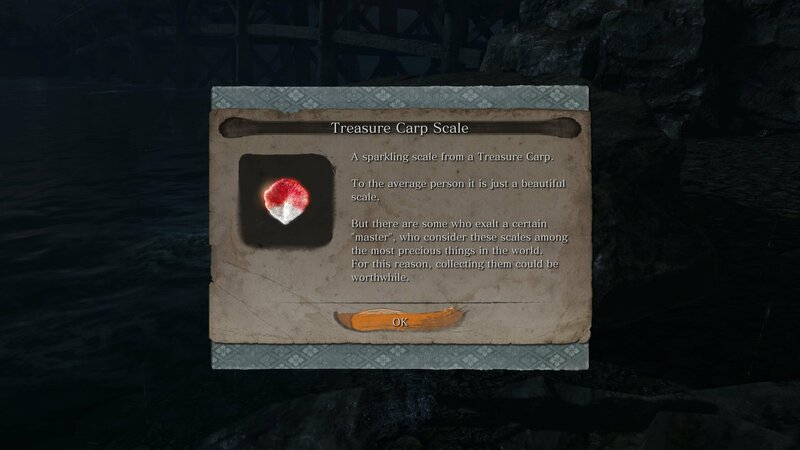 If you’ve run into one of the pot merchants in Sekiro: Shadows Die Twice, then you’ll have discovered the existence of a second economy hidden in the game: TreasureCarp Scales. The pot merchants sell a range of interesting and useful good including the tantalizingly expensive mask fragments. 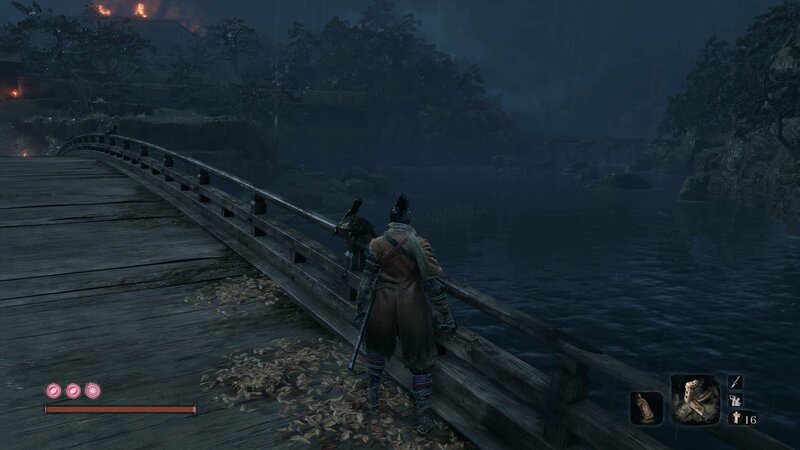 Sen won’t do you any good here, as instead you’ll need to track down and kill enormous Treasure Carp scattered throughout the world. They’re not all that easy to find, and to get access to most of them, you’ll need to unlock a special skill. 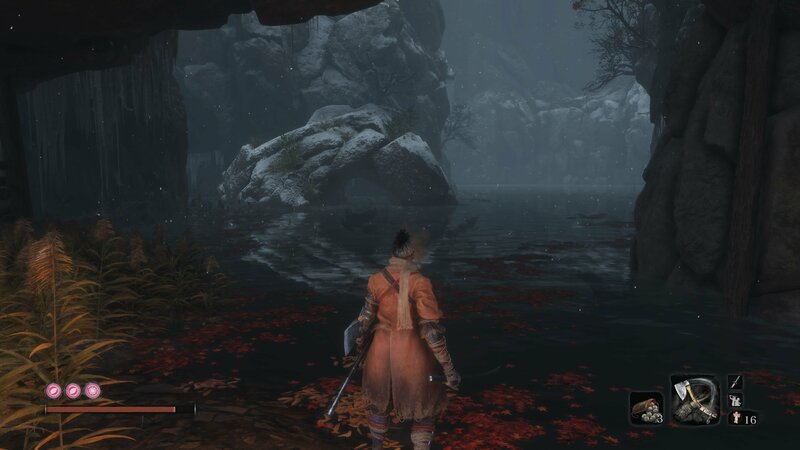 To help you out, in this guide we’ll walk you through how to find all the Treasure Carp Scale locations in Sekiro: Shadows Die Twice. 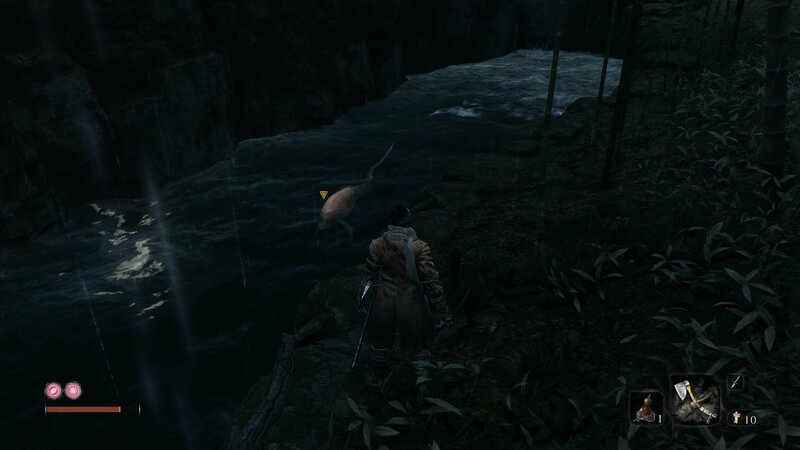 There are a total of 42 Treasure Carp Scales to find in Sekiro: Shadows Die Twice, split between the different regions of the game. 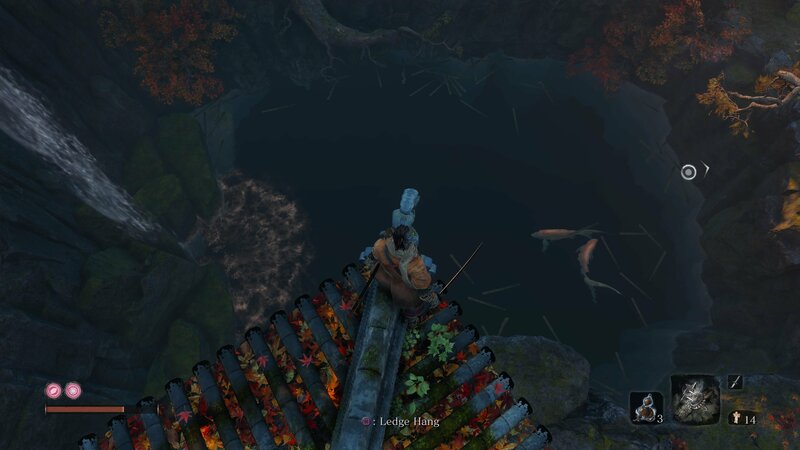 To get many of these you’ll first need to have unlocked the diving skill, which you won’t get access to until you’ve explored Mibu Village in Ashina Depths. Below, we’ve split the carp locations by region, and to help you out we've also marked any that require the diving skill to obtain with an asterisk. 2 - Two Treasure Carp are found in the water next to Pot Noble Harunaga. Jump into the water to the right of the bridge at the beginning of the Hirata Estate area. 2* - Two more Treasure Carp can be found by diving underwater in the same area. 1 - One Treasure Carp Scale is located on the riverbank to the left of the bridge, before you cross. 1 - When you reach the large bridge after the Bamboo Thicket Idol, jump down into the water on the right to find a Treasure Carp. If you haven't found the Mist Raven already, this is also the place to obtain it. 1* - A second carp can be found in the same area by diving underwater. 2* - Two scales are found in the castle moat under the Ashina Castle idol. One appears on a Treasure Carp, the other as an item. 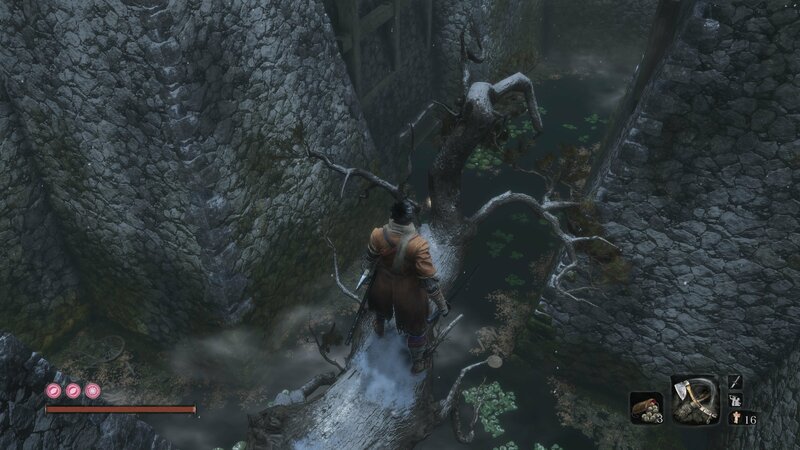 You’ll need diving to reach both as one only spawns when you return to Ashina Castle later in the story. 2 - Two Treasure Carp are found in the lake a short distance from the Temple Grounds Sculptor’s Idol. 2* - Two Treasure Carp are in the large lake behind the Riven Cave Sculptor’s Idol, where the snake used to lurk. You’ll usually need to dive to get them. 1* - One Treasure Carp Scale can be collected from the same lake if you dive. 2 - Two Treasure Carp Scales are sold by the Exiled Memorial Mob merchant for 500 sen apiece. 1 - One Treasure Carp Scale is located under the Mibu Village Sculptor’s Idol. It’s guarded by a purple samurai. 1* - A Treasure Carp is underwater in the Mibu Village river, close to the bridge. You’ll need diving to reach it. 5* - If you give the Mibu Village priest Water of the Palace (see the Fountainhead Palace tips), the next time you return you’ll find him transformed into a monster that drops 5 Treasure Carp Scales when killed. You’ll need diving to obtain almost all of the Treasure Carp Scales in Fountainhead Palace, as well as to explore the palace in general. 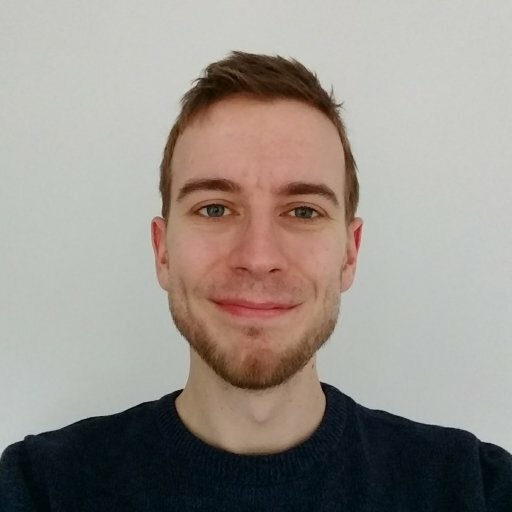 Thanks to the Sekiro wiki for these locations. 3* - Located with the Water of the Palace in a hidden underwater path through the cracked floor. 7* - There are seven Treasure Carp in the main area of Fountainhead Palace. You’ll need diving to reach many of them. 2* - At the bottom of the main pool is a giant carp skeleton with a number of worms eating away at it. Dive down to it to find two Treasure Carp Scales. 3* - Under the main area is a small, underwater house. Dive down to it to find the Treasure Carp Scales. 1 - Feed the Giant Carp Precious Bait for the first time. Afterwards, speak to the NPC next to the bell. Be warned, doing so can kill one of the pot merchants. 3 - Feed the Giant Carp Precious Bait for the second time. Afterwards, speak to the NPC next to the bell. Be warned, doing so can kill one of the pot merchants. Those are all the Treasure Carp Scale locations we know of in Sekiro: Shadows Die Twice, so you should be ready to spend those scales on some valuable goods! Remember to buy what you want from each pot noble merchant before feeding the Giant Carp. Now that you’ve tracked all of those down, why not make sure you haven’t missed any shinobi prosthetic tool locations too!